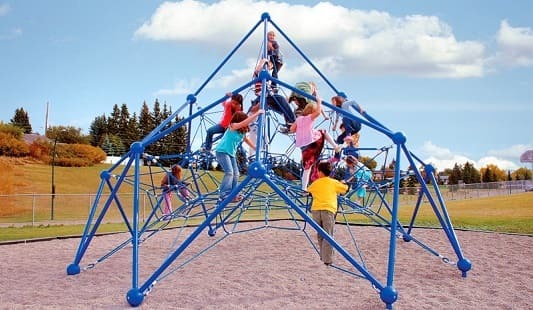 Home - Playground Equipment USA - Safe equipment for everyone! Take advantage of free shipping in the 48 Contiguous United States on our Weighted Edge Sandbox Covers. These covers are one of our most popular items! 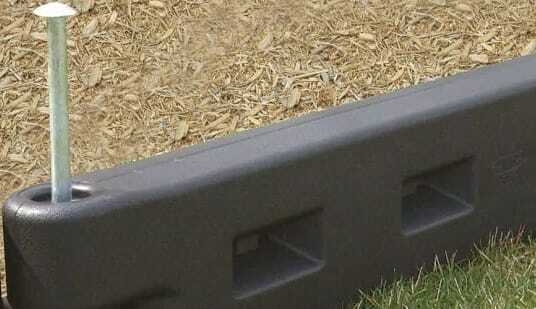 We have the best prices on Playground Plastic Borders! We have the best prices on 4 foot 12 inch plastic borders. All of our borders come with a metal spike. Call today to get a quote! We install shade structures throughout Washington DC, Virginia and Maryland, and we sell shade structures nationwide! Call today for a quote. Kids love Dynamo Playground Equipment. Dynamo equipment is fun, unique and high quality. Call today for a quote! We offer superior customer service and are always available to speak by phone. For more information about our products or to get a custom quote, just call us at 877-840-0707! 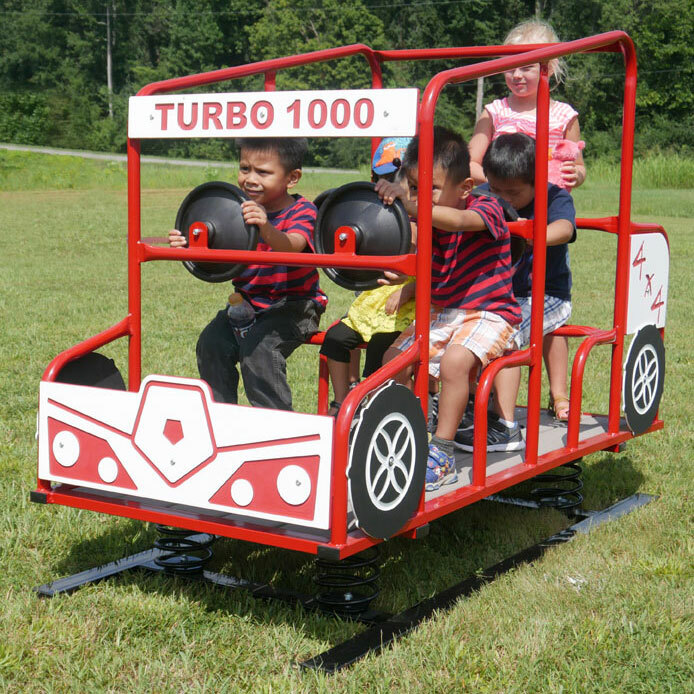 Contact Playground Equipment USA for the safest commercial playground equipment and parts today! 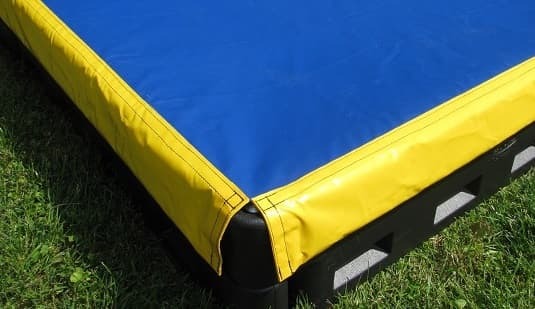 We carry a variety of products, including play structures, plastic borders, park amenities, playground surfacing, sports equipment, spring toys, special needs products, sandbox covers, swing set parts, shade structures and much more. Most of our customers are schools, community organizations, churches and businesses. We can also cover your residential needs. We strive in providing excellent and friendly service. You won't have to wait on hold to talk to us and our experienced staff is knowledgeable about playground equipment, shade structures, plastic borders and much more! We have been providing commercial playground equipment and playground parts nation-wide since 1986, so we know commercial playground equipment better than most people in this industry. We also design playgrounds and recreational areas. We select products in which the steel and plastic in our equipment is completely or partly recycled. We can ship commercial playground equipment anywhere in the USA! also We install playground equipment throughout Washington DC and the surrounding areas of Maryland and Virginia! As an added service, we can also provide a playground inspection for your organization. If you have any questions about our playground equipment or inspection service, call us direct at 877-840-0707. You can also visit our local website Capital Area Playground Services. 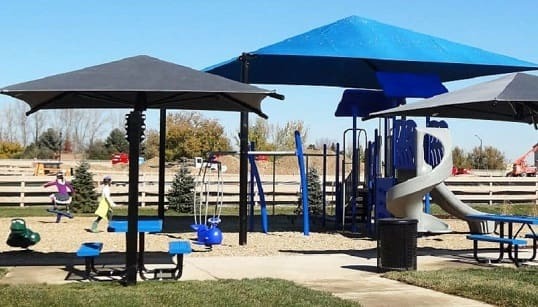 We are not only experts in commercial playground equipment, but we specialize in playground shade structures and commercial shade structures. We ship playground and commercial shade structures throughout the United States and we install them in Washington DC and the surrounding areas of Maryland and Virginia. These shade canopies and structures look great on playgrounds and other government and business entities. Whether you need one installed in our part of the country or shipped somewhere in the U.S., we are happy to answer questions about these items. Our staff is very knowledgeable about shade structures since we have plenty of experience installing them. We have been selling the finest commercial playground equipment and installing playgrounds locally for three decades! We are always here to speak on the phone and answer your questions. In fact, we take pride in establishing a relationship with our customers and we have a high percentage of repeat clients because they can speak to a playground expert over the phone!